Web apps are fine, but native Mac apps are often better When Is It Better to Choose Web Apps Over Native Mac Apps? When Is It Better to Choose Web Apps Over Native Mac Apps? Some of the most popular Mac applications are available both as native apps and web apps, but which is best? Read More . When you listen to music in your browser, it’s hard to keep track of which tab is playing. Plus, much of the time pressing the Play/Pause key will open iTunes instead of pausing the current track. SoundCloud is no different. The service unfortunately discontinued its official Mac app a while ago. Fortunately, there are plenty of alternative SoundCloud apps. Little more than the SoundCloud website in a frame, SoundCleod improves on the web app by providing some of the basic functionality you’d expect from a native app. Aside from moving the app out of the web browser and into the Dock, where it’s easier to find, SoundCleod also restores full media key functionality. That means you can play, pause, and skip back and forth through your feed without having to first find the right tab. The app also supports some simple shortcuts for liking (L) and reposting (R) tracks. It’s basic, but works well. The web app’s media controls for scrubbing, shuffling, and repeating tracks appear at the bottom of the frame. You can navigate backwards and forwards using Cmd + Left/Right arrow. You’ll see notifications for track changes just like you would in Safari. Far from a website running in a frame, Soundnode is a completely native and open source The Best Mac-Only Open Source Software The Best Mac-Only Open Source Software When most people think open source, they think Linux. But Mac OS X has its share of quality open source programs as well — and a bunch of them aren't available for Linux or Windows. Read More SoundCloud app. The player is available for macOS as well as Windows and Linux, which might explain why it feels a little more developed than some of the other apps on this list. On first glance you’d be forgiven for mistaking Soundnode for an official app. It uses a suave dark theme with a sidebar for navigation and media controls along the bottom of the window. The rest of the app is dedicated to content, with tracks and playlists presented in large 1×1 squares just like iTunes. Media controls work as expected, but there are no shortcuts for liking or reposting tracks. There’s no means of uploading music, since Soundnode seems focused on media playback rather than interaction. You can read comments but it’s not possible to view them on the waveform or add your own. There’s a powerful search feature that queries as you type, and a handy queue button that shows you what’s coming up next. It’s fairly easy to create and view your playlists, and you’ll get a notification complete with artwork each time a new track starts. It’s one of the best SoundCloud apps around, and it’s free. Many popular apps live in the top right-corner of your Mac; these offer so much functionality that created a master list of menu bar apps The Ultimate List of Mac Menu Bar Apps The Ultimate List of Mac Menu Bar Apps These tiny smart utilities don't get in our way like the dock apps do -- Mac menu bar apps sit in a corner and swing into action only when you need them! Read More . It’s about time Cumulus was added to that list. The app is devilishly simple in its approach and perfectly designed to sit in the Mac menu bar until you need it. Click on the app’s icon at any time to reveal a three-pane window for your Feed, Likes, and Playlists. I couldn’t get the Playlists tab to load, but I never seem to use SoundCloud playlists so I wasn’t phased (keep that in mind if you do). You can control Cunulus with media keys, and notifications appear for each track change as you’d expect. I couldn’t find any keyboard shortcuts to like or repost tracks, since the app is pretty light on preferences. It’s not perfect by any means; you’ll encounter some occasional stutters and bumps. Despite these issues, it’s probably the SoundCloud app I’m most likely to keep around purely for the convenience of having access right in the menu bar. VOX isn’t a native SoundCloud app, but rather a native media player with SoundCloud support. Before you can link your SoundCloud account, you’ll need to create a free VOX account. After this you’ll be asked to spend some money on a premium plan. You don’t need that to play tracks from SoundCloud, though. Once you’ve logged in and signed up, you’ll see a SoundCloud icon that provides access to your Stream and Likes. There’s no playlist support and no way to view or post comments, but you can like tracks if you hover by the Now Playing area and click on the heart icon. While playing from SoundCloud, the VOX dock icon will switch to the current track artwork, which can make finding the app tricky at a glance. There’s media key support, but only after you’ve installed an extension to circumvent macOS sandboxing rules Here's The Only Mac Security Software You Need Here's The Only Mac Security Software You Need For most people, OS X is fairly secure out of the box — and there are a number of programs out there that potentially do more harm than good. Read More . AirPlay support is baked into the app, and not hidden behind a premium account. VOX works fine for simple playback, but one false click and your web browser launches a new window bugging you to upgrade to a premium account. The player is small enough to live in the menu bar, but instead it’s a floating window. It’s not a bad app, but it’s not amazing either. While technically not a separate SoundCloud app, BeardedSpice takes the SoundCloud web app and fixes a few of its biggest problems. 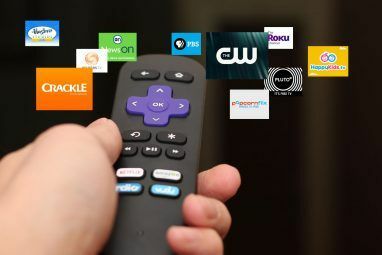 The app’s primary purpose is to allow control of web-based media players and other native apps with your Mac’s media keys. The app lives in your menu bar and allows you to quickly switch which tab your media keys control. It also comes with a few useful keyboard shortcuts, like Cmd + F6 which focuses the tab BeardedSpice is controlling. That means no more fumbling around for the right tab. It’s not limited to SoundCloud, and it works with tons of sites including Google Music, Dailymotion, Netflix, and YouTube to name a few. It works out of the box with Safari and Chrome, and the lesser-known web browser Vivaldi. If you encounter issues, make sure you’ve read up on the troubleshooting FAQ and Safari quick fix. There are premium SoundCloud apps in the Mac App Store, and a few freebies with in-app purchases. Some of these apps lock AirPlay functionality behind an entry fee, but this isn’t a feature you should ever pay for. While playing music in any of these apps (or the regular web app player), head to System Preferences > Sound. On the Input tab, select an AirPlay receiver and wait. Now all sound produced by your Mac will be sent to the wireless receiver you specified. You can also click on the Volume icon in the menu bar and select an output there. 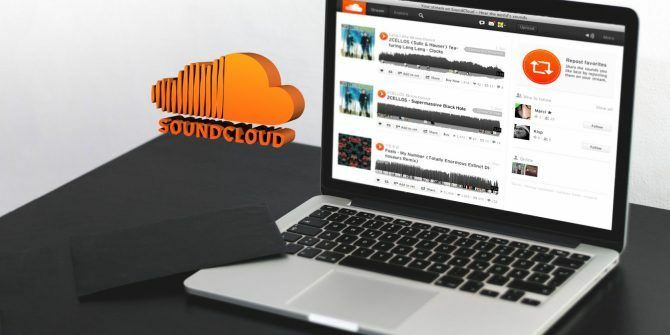 With so many great free SoundCloud apps, you’re better of putting your money toward a SoundCloud Go subscription instead Is SoundCloud Go Worth It? Everything You Need to Know Is SoundCloud Go Worth It? 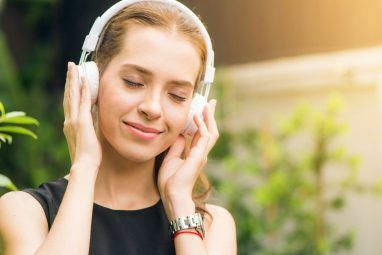 Everything You Need to Know SoundCloud Go is a new premium music streaming service designed to compete with the likes of Spotify and Apple Music, but is it worth paying for? Read More . Explore more about: Mac Menu Bar, SoundCloud, Streaming Music.